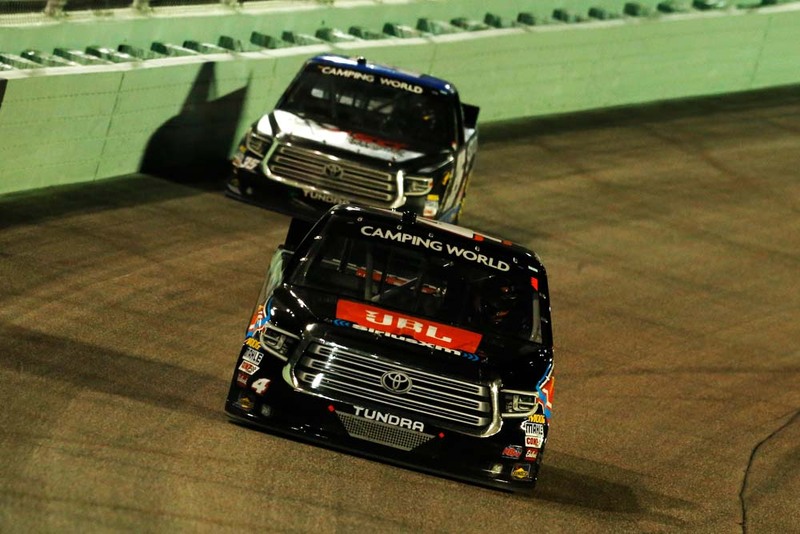 Todd Gilliland was hoping to finish the season with a win, but it wasn’t meant to be Friday night at Homestead-Miami Speedway. Gilliland searched for speed throughout practice, qualifying and the race in his No. 4 JBL/SiriusXM Tundra, but never found quite the right balance to fight his way to the front and contend for the win. He did gain valuable experience by running every lap and finishing 13th. Gilliland started in 15th, and worked his way up to 12th when the first stage ended on lap 30. He pitted for four tires and fuel when the pits opened on lap 32. When Stage Two began Gilliland was in 11th place. During the restart the field checked up and he was hit from behind damaging the left-rear of his Tundra and falling back to 19th. He was 18th when the second stage ended and said the truck was loose. He pitted on lap 63 for four tires, fuel and adjustments. Gilliland restarted the final stage in 15th place. Without a caution in the final stage, the field began to cycle through green-flag pit stops by lap 100. Gilliland pitted on lap 100 for four tires and fuel to finish the race. He moved into 13th with 10 laps to go and finished the race there. 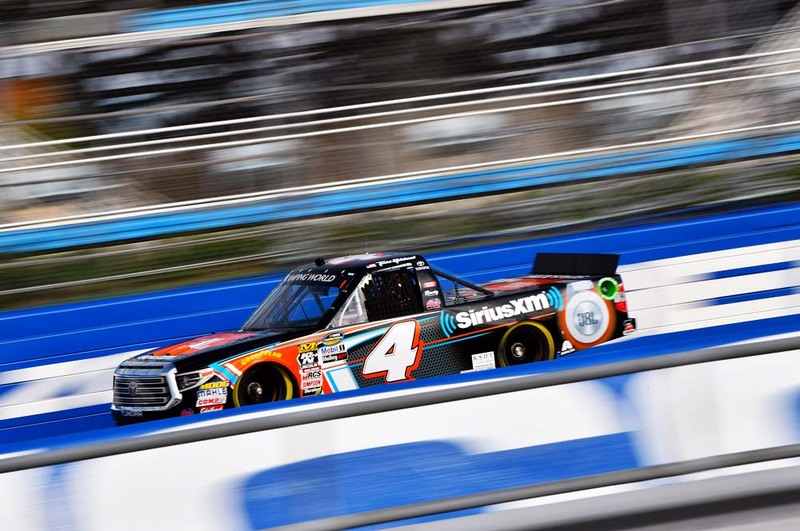 Brett Moffitt won the race and the championship followed by Grant Enfinger, KBM’s Noah Gragson Stewart Friesen and Sheldon Creed rounded out the top-five finishers. The race featured two cautions for a total of 12 laps. There were 10 lead changes among seven drivers. 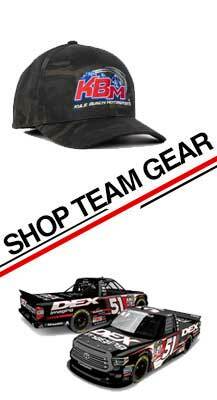 KBM’s Gragson led 34. The No. 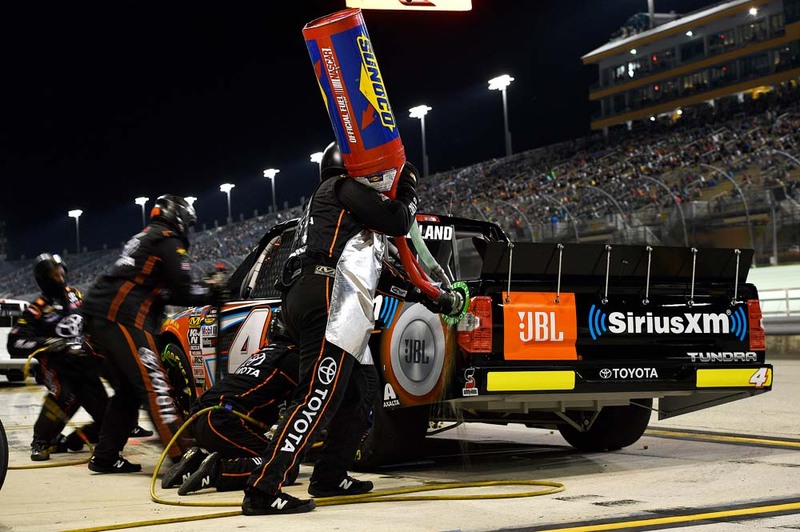 4 team finished the season 11th in the Truck Series Owner’s Championship Standings, while Gilliland was 10th in the Driver Championship Standings.